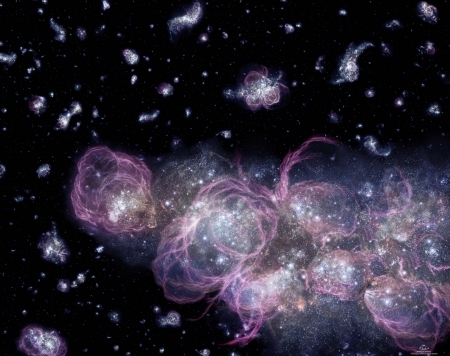 I gathered this yesterday while swimming in purple oceans of the Pleiades. It did not take long before pearls formed behind my eyes and I had to come home and show you. When you were born all of the planets in the solar system were proud to stand in perfect solitude, still, but loud with their meaning so you could pass through them as you gathered yourself tighter and tighter into form. As you passed through them you became them, your cells echoed them and in your direct resonance to each other you agreed to dance. As they moved you would move. Their placement inside you and their movements became your personality, it told the energy how to mould your body and it even structured the rhythm of your breath. All of these things that make you who you are can be traced back to when you were the universe. You needed to be formed of pieces of the solar system that you were to journey in. You needed the codes and the language that we now come to see as archetypes. These are the roots of who you are, these orbs we can go an entire day without even considering, pull the oceans inside of you. They are forgettable because we are so close to them we cannot see the seams that sew us together. Beyond the family of planets that circle our sun are other bodies, soon we will come to know their rhythm inside of us as well. They become more relevant as we begin to expand deeper and deeper into our own consciousness. They represent pieces of us that are slowly waking up, and when we come to know them we will realize that they have been talking to us all along in voices we thought were our own. When I was born Uranus and Neptune agreed to colour my cells the most orthodox shade of unusual. Uranus is change, he always reminds us who we are, he is made of mirrors and when he is around it doesn’t matter what is happening in your life he forces you to look. 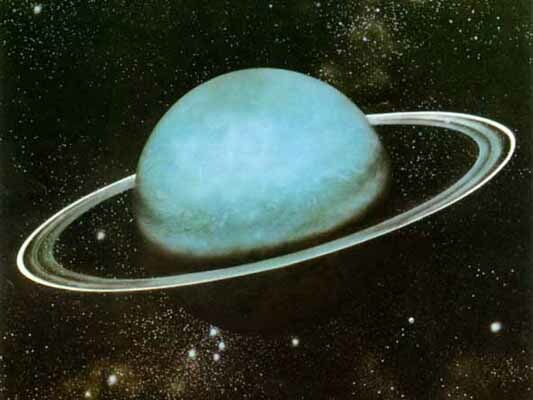 Uranus is the planet who knows your truth and will sing it back to you- loudly. If he takes up a lot of space inside of you you will do this for others, you cannot help it, it is who you are. When you come to feel him approaching let go of all the structures you have as in his presence all that is not real will fall apart. Illusion in any form cannot co-exist with Uranus. Uranus knows that we are strongest when we are in realization that we are god, he knows that process is the vehicle for all change in this world and his. He knows that nothing can hurt you and that you are infinite and capable beyond your wildest dreams. He pushes you into yourself. 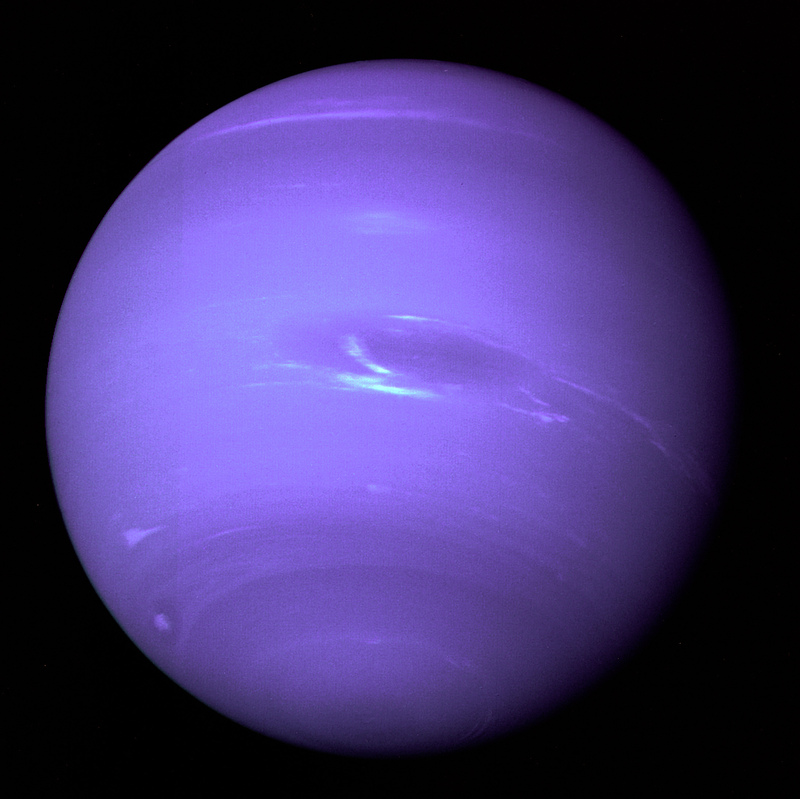 Neptune is watery, and if you do not accept his presence or know how he moves within you his water turns to steam and he will blur your eyes with fog- he becomes the planet of illusion. What he really wants you to know is that he is a bridge builder, catching his tides mean seeing into other worlds, and if you are conscious you can catch the ebb see a new world and then on the flow return to teach about it. He does not wish for you to swim too deeply in his water and lose who you are, or not see reality. He doesn’t want to haze your eyes with confusing fog, he wants you to understand his rhythm and use it to be the creator that you came to be. He wants you to ride his surf back and forth joining the seen and unseen so that new structure can be formed within the world. He wants you to use his depth to become a visionary. All he has touched within you is an opportunity for you to see beyond what others can so you can know it higher and deeper. Mind is Linear While the Heart Spirals. The information and guidance that we receive from our heart does not come in a linear fashion which ultimately is why it clashes with the mind. The mind is linear, staccato, controlling and bossy, it wants everything and everyone to fit into it’s ideas about the world. It is a dictator at best if you let it go undisciplined. The heart feels circular beyond boundaries it flows in expansive creative spirals. As we experience them through our conscious mind it seems that they come in waves, it can seem unpredictable as our creative expression moves to the rhythm of the universe even though we are on Earth. Due to this fundemental clash the mind fears the heart because as it fears what it cannot control. The heart has no choice but to seep quietly into the mind as we sleep, it heals, it answers questions, and reveals brilliant ideas. The conscious mind, of course, believes it was its idea all along. On other occasions the heart becomes loud when the mind has been through trauma, it’s broken down, questioning it’s own system, and has no choice but to listen. The mind should listen though, because the heart is a transcendental center. It is the point where you can reach in and pull out concepts that represent, to a tee, exactly what you need. These concepts that we can also call guidance or inspiration are multi-dimensional at their core, they are beyond time and space. They are your brand of pure, raw, universal energy and because of that they can sometimes come across as huge, reaching concepts. When you think about it it’s really no surprise your conscious mind feels insecure when it can’t fit information into boxes and label it. Your heart is like that magnetic, attractive, talented, witty, magical person at the party that everyone wants to talk to. Our minds are the person dancing awkwardly in the corner, off beat, completely baffled as to why they aren’t the centre of attention. The heart is the seat of our creative energy and creative potential, it is our cordate shaped internal piece of the universe, and it flows in a rhythm that mimics the pulsation of your soul. This can be confusing as your conscious mind cannot keep time, literally. Our heart will broadcast specific ideas and they will make almost no sense to your conscious mind as it may not feel as though it is the time to act in the manner it suggests. Little does your lower mind know, your higherself is not only bringing you what you need in this moment it is constantly setting you up for what you need in a few weeks or a few years. Many times when the reason why the guidance we recieve doesn’t make any sense is because it doesn’t make sense for right now within the paradigms of your mind, however, it makes complete sense for where you will be in the future. The heart does not see time, it sees every amazing thing that you want to happen in your life as already happening, it is simply just trying to get you to keep up, to flow with it, to rise to the occasion. Your higherself/heart is constantly laying your foundation and systematically pulls to you all that you need in all directions of time in the most efficient way. If it’s guidance seems strange know that it feels that way because it is beyond time and it is therefore beyond a paradigm that you feel comfortable in. The Heart Adjusts You In the Smallest of Moments. You may also be guided to have specific experiences that seem pointless to you. However, know that in those experiences a quiet alchemy is occurring within you. You are merging with frequencies that you didn’t even know you were hungry for. So much of the hearts work is unseen, it adjusts you with small encounters and experiences that seem irrelevant. Those quiet moments gain their power from the fact that they are perfectly timed experiential medicine, powerfully shifting you into a place where you can become more than you are. It could be eye contact with a stranger as we are completely engrossed in our iPhone, the discussion your eyes had, adjusted you in a small but perfect way. It may be a sudden urge to go for a walk, little do we know the sound of the birds and the smell of the Earth transformed us just enough to be in the right mood to approach our job interview. Our higherselves know that some of the most powerful magic is quiet and elusive to our waking mind. Our hearts know that subtle moments that happen at the perfect time are much more powerful than large, planned events that may or may not line up with universal timing. To put it bluntly, our conscious mind really has no idea where we need to be or what we need to do, it’s job is not to create but to assist in carrying out creative inspiration from the heart. As we move into our heart we realize that it is the seemingly smallest movements, and the smallest efforts supported by the divine time of the heart that brings the most change. The heart always aligns you in a perfect eclipse with your highest purpose, highest joy possible in that moment. We should not doubt the part of us that moves with the acuity of the universe, as there will never be a more accurate guide. We can see that in the lives of people who have come to know this first hand, as they move with an efficiency in life that seems miraculous. 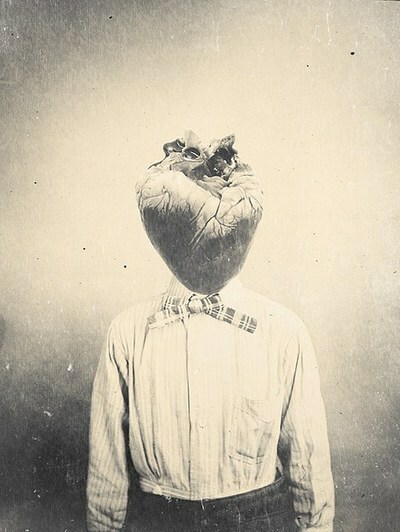 The heart seems indirect as it is beyond time and space and therefore beyond the framework of the waking mind. This is not something to be intimidated by or confused by. This is a phenomenon we can learn to find comfort and trust in. We don’t have to try to control every little detail in our lives, why bother when there is a part of you waiting quietly with all the answers. A part of you that unconditionally lines you up for the best and makes appropriate shifts without you even needing to ask. When we begin to find comfort in our hearts round about way if communicating we can begin embracing the mystery and expect the best with peaceful confidence. After all it only seems round-about because it is impossible for our conscious minds to grasp the trail of perfection that is being traced for us in the chain reaction that occurs between our heart and the pure energy of source. In that place all that we need, all that we are, will come forward and when that happens we realize the true joy in life is integrating the pieces of the universe that we represent. That is the truest joy we will ever find, it will never end and we will never stop expanding to hold more of it. That statement is just dripping with responsibility and I like that. What a powerful cliche. The thing about cliche’s is that many times they are cliche because they are truths. Truth has a way of cycling around over and over and over again until you take notice, I think sometimes we don’t want to listen so we can dismissively call them cliches and push them aside. 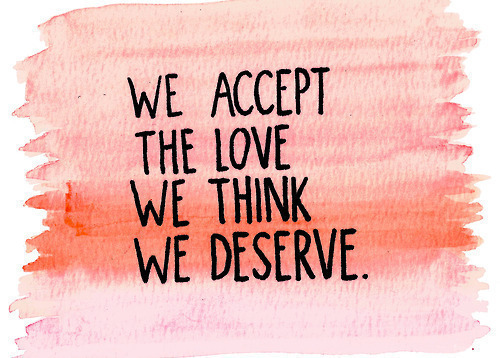 Anyway, we accept the love we think we deserve. When we interact with others, whether it be in a romantic relationship, friendship or simply our relationship to our family members the way they treat us, how they love us, is a direct reflection of how we love and treat ourselves. Why? Simply because we can only see and allow into our experience what we are. Our relationships are tools that allow us to observe our own personal paradigms. That sounds very un-romantic, but its true. The mind we live through is made up of many perspectives, rules, and filters, we are constantly releasing and adjusting them as we go through life. We perceive the relationships around us via these filters. We can only “accept” behavior that on some level we understand, if by chance we run into someone and do not have a reference point for them within us they will actually not exist to us, we will not actually perceive them at all. They will sweep into our reality only to blow right out again, there will be no magnetic charge to make them relevant. Everything and everyone that we perceive in our reality is in relation to our experience and through our personal reference points. Our reference points are based on our experiences and are what make things around us valid and relatable. This world is full of stimulus so our consciousness has a system of filtering out what is relevant to our progress and what is not, experiences that have no value for growth (at this point in time) are not perceived. The weird thing about all this is, if you think about it, when you are technically having a relationship with someone you are actually in two different relationships. This phenomenon becomes fairly obvious when you encounter conflicts as each individual party seems to be having a completely different experience than the other. You may be experiencing the same stimulus but the perception of it is digested through each persons consciousness and as a result becomes completely different. That means the way we perceive other people loving us is actually how we love our selves. The way we perceive others as being hurtful is actually how we hurt ourselves. The dynamics of the relationship mirror specific dynamics we have been exposed to throughout our lives that eventually became who we are. This is huge and with the realization of this it seems our only choice is to take complete responsibility for our feelings and behaviour, blame becomes completely pointless. This is an uplifting statement because it reminds us that the people we have in our life are there in response to a dominant perspective we are holding. If our filters, or perspectives, are imbalanced we will then of course pull in someone who challenges us to bring that into harmony. A victim mentality will always attract a victimizer or persecutor, it will actually bring the persecutor role out of people who have it within them. The individuals in the relationship will play these rolls for each other until one or both of them can wake up to their own imbalance and own their part in the interaction. This allows both parties to journey through their polarity and come to a balanced point within. These polar attraction roles allow people to release karma and gain perspective. The relationships in our lives are a litmus test for how we feel about our self and therefore what we feel like we deserve. What we deserve is determined by our personal standards which in turn directly reflect our self worth. We can see this principal play out around us with the people we interact with. We are not consistently the same with every person we have relationships with. Like colors or music we bring out aspects in each other, we always want to harmonize or reach a balance point with individuals, we call this “relating.” We cannot truly connect with others unless we relate to them and part of the relating process is resonating out the aspects within each others consciousness that need to be balanced. So your friend may be one way with you and then another way with another person and then a completely different aspect of his personality may be brought out yet again in his interactions with other people. It is our job to be aware of how how balanced we are in order to keep the relationships in our life healthy. When we are on top of our mental and emotional health it shows that we respect ourself and as a result the people in our lives will com to respect you as well. If there is a part of you that needs adjusting you will come to know it via the mirror that relationships prove themselves to be. The best way to get the love you deserve is by making self love a priority and not being fearful or ignorant to the parts of you that need to be released.